A few weeks ago I got a text from a dear friend. Her husband had posted a survey question on Facebook. Survey: who has preteens on Facebook? I’m not quick to give my son access, but I am curious as to others’ experiences. The minute it was posted, responses began coming in from parents who were at the same stage of life. All with differing opinions and letting him know how they were choosing to handle the preteen Facebook dilemma. Let’s face it, we’ve seen the social media quagmire of false pretenses, stalking, language, and advertisements not to mention the endless selfies spouting where someone has been and who they’re connected to. Even as adults many are seeing how they easily get sucked into the time sink that often leads to what we lovingly call “chasing squirrels”. Yes, as parents we have the right to say no or delay the inevitable as long as possible. We worry about our kids being old enough – or mature enough to handle it. But I’m not sure any of us are truly mature enough for it until we’ve experienced the downfall of it for ourselves. Here’s a better question. Are you willing to be a mentor to your kids in this area of their lives? 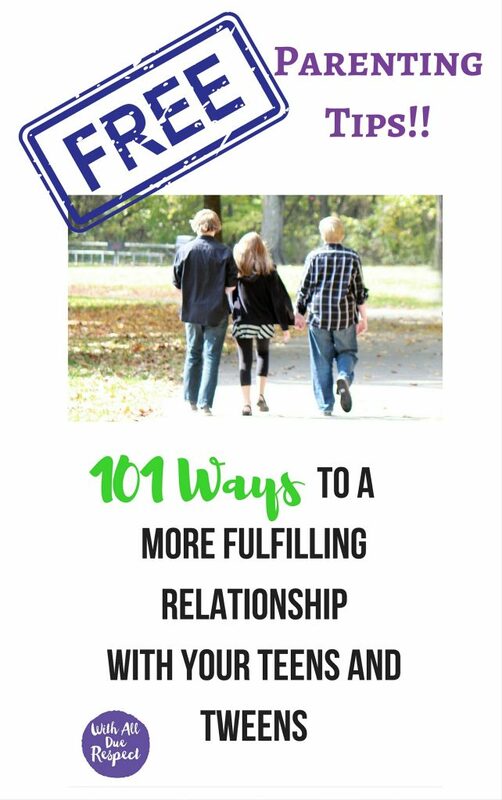 Kids need parents who are willing to teach them the pits they might fall into and how to steer clear. They need someone who will walk beside them as they learn to navigate the unknown world they live in. If your preteen is asking about Facebook or Instagram or any other social media, it means their friends are most likely on there. Like it or not it is how this generation socializes. So why not walk beside them in the process? And yes, that means we need to learn how to use it if we don’t already. Most parents decide that their kid is old enough or mature enough at a certain age and hope for the best–turning them loose to sink or swim. By then it is too late. Chances are these kids will already know more about social media than their parents and may not be willing to allow their parents walk beside them. 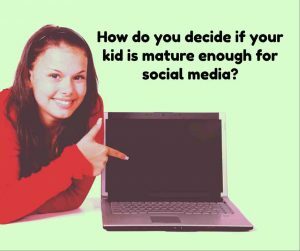 If we teach our kids to use social media when they are still at an age when they are open to their parent’s suggestions, they’ll be better prepared to handle potential consequences. So how can you set it up to be a good experience? Step 1 – Ask questions as to why they want social media access. Let them know you are considering it. Step 2 – Say “yes” if you can devote some time to it. But be ready with the boundaries: time bound it (use a timer), put stipulations around when, and make sure you are available to at least sit in the same room during access time. Maybe even right beside them for their initial few times. Step 3 – Share concerns about their maturity and also some of the situations they may be faced with. Let them know that you will be reviewing their history and postings and make sure that you have access to passwords. Step 4 – Let them know that if you become concerned about what they are saying on social media that you might be compelled to take it away for a period of time. i.e. if they behave maturely they have nothing to worry about. Step 5 – Make sure your kids know they can come to you if they run across things that upset or concern them and you’ll help walk them through it. Step 6 – Don’t forget to monitor. 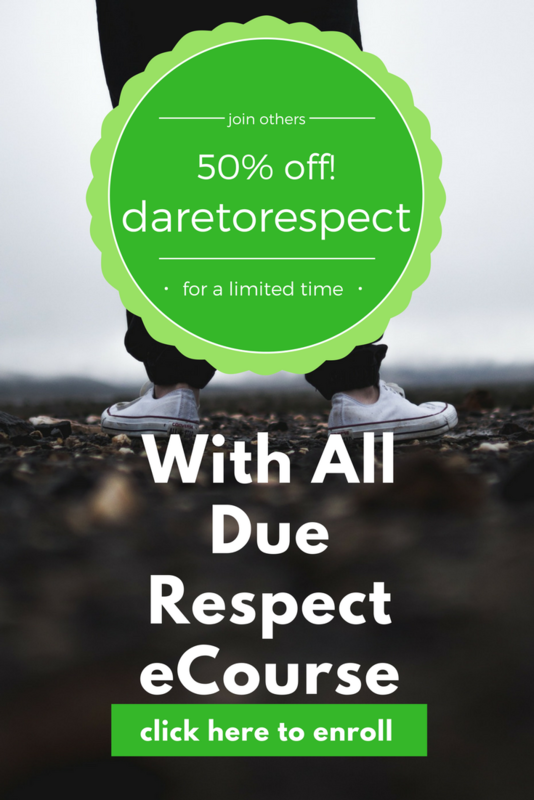 Step 7 – When they do or say something inappropriate – use it as an opportunity to teach. I’ll admit, I’ve had my own pit experience on Facebook where I had to learn humility. I was upset with a sales rep who had made a mistake on my order. I didn’t catch the mistake until almost a month later. When she refused to swap it out for my original purchase, I was visibly frustrated. And wouldn’t you know it, she posted cruise pictures on-line thanking everyone for helping her make her sales goals. In one of those anger-filled moments of seeing her smiling in front of the cruise ship, I responded to the post with an unkind word. I tried to delete it, but it had already been posted to the world. And she saw it. And instantly I realized that I couldn’t take back what I had written and that I had said something in writing that I would not have said to her face — a rash decision in anger. And I learned the power of my words – spoken or written. And I ate humble pie and apologized. And it was a pivotal humbling experience for me. And that’s how our kids will grow in maturity–by making mistakes. If we give them opportunity to make mistakes under our watch, we have opportunity to influence their values in the world they live in. Dare you to not say no to your kids requests out of fear but to boldly walk through new things with them respecting the fact that they are growing up in today’s culture whether we like it or not.